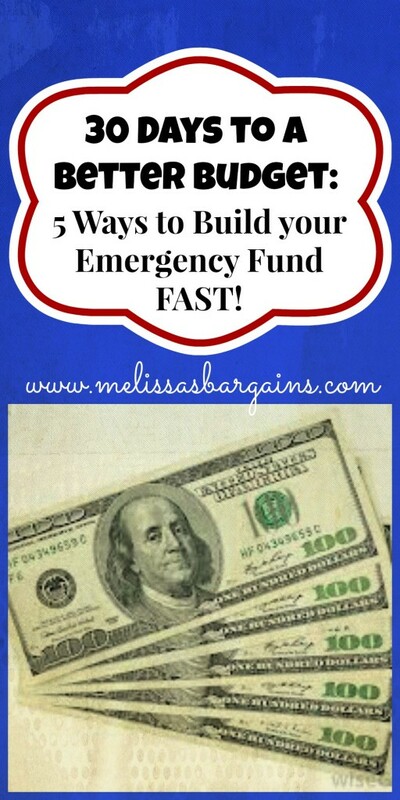 You are here: Home / Budgeting / Five Ways to Build Your Emergency Fund FAST! None of those expenses were expected or budgeted for (we knew that the tires were going to need to be replaced and were saving for them, but we thought we had a little more time). Without our emergency fund, we would not have had the money to cover any of those events. Three of them (the tire, battery, and dog) all happened on the same day! 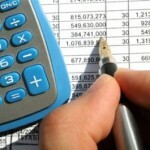 Here are some of the strategies we have used to build and re-build our emergency fund quickly! I realize all of these ideas may not work for every person, but it gives you some ideas for getting started! The easiest and quickest way to get some extra cash for your emergency fund is to sell some things. If you’ve got kids, you’ve probably got books, toys, clothing, and even baby gear that your kids have outgrown. Go through your children’s bedrooms and make a stack of items that you could sell quickly. Even if you don’t have kids, this is a perfect opportunity to declutter and clean out closets! Plan a yard sale or check out Craigslist. 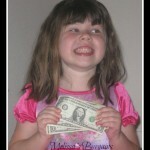 I have also had great success selling items on local Beg, Barter, and Sell groups on Facebook. Just search “online yard sale” or “Beg, Barter, and Sell” for your area. Have a no spend challenge and take the money that you would have used and add it to your emergency fund. 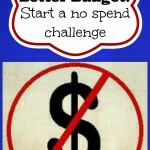 How you do your no spend challenge is up to you. Some people give up going out to eat for a certain time period. Some people give up going out to eat and grocery shopping (except for perishables and essentials). If you have a stockpile that you’ve built, this is easier than you think! It may be as easy as taking your lunch to work instead of buying for a week or two or giving up your morning Starbucks for a month. Get a part time job and put all of the money you make from your part time job into your emergency fund. Do you have a skill where you could do extra work on the side in the evenings or on the weekends? Could you deliver pizzas or newspapers for a short time? This takes me back to my college days! I had several friends who would donate blood or plasma when they were short on cash. If you are able to donate (there are some restrictions), it’s a quick and easy way to make some extra cash and you’re helping to improve or save lives in the process. NOTE: Compensation varies by location. I’ve had my Capital One 360 checking account for a few years now. We actually keep our Christmas savings in a Capital One savings account and then we transfer it to our check card when it’s time for holiday shopping! Right now, when you sign up for a Capital One 360 Checking account, they are offering a $50 bonus! Every little bit helps and this would be a great way to save for Christmas or to even stash your emergency fund! 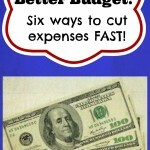 Save Money with a No Spend Challenge! 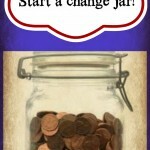 Grow your Savings with a Change Jar! 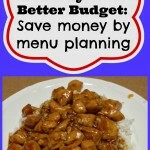 Save money by menu planning!